Prime mangrove trees have already been uprooted to pave the way for construction of the first three berths and port administration office at Kilalana. The Kenyan government granted a US$484-million contract last year to a Chinese firm to put up the first three berths. Scant regard has been paid to an environmental impact assessment (EIA) for the first phase, while local people who lost their land are still waiting for compensation a year later. Another 100 000 people are potentially in the way of the gigantic development. The Lamu archipelago was declared a global heritage site by the United Nations Educational, Scientific and Cultural Organisation (Unesco) more than a decade ago, and is a popular tourist destination. The old Lamu coastal fort town was originally settled by Portuguese sailors and Arab merchants, and is made up of a labyrinth of narrow streets, with the silence broken only by the pacing sounds of donkeys squeezed between ancient façades. Local residents wear traditional Swahili khanga and veils, and the sum effect is a rich historical and cultural attraction. The planned mega-project will link infrastructure, oil refineries, new urban buildings, railway lines, an international airport and minerals extraction. It will stretch from coastal Kenya to South Sudan and Ethiopia. Known as the Lamu port, South Sudan, Ethiopia (Lapsset) project, it is the largest and most expensive joint initiative involving the three neighbouring countries. Its planners say it will enhance trade, create reliable transport links and boost regional and individual economies. The plans have been drawn up to meet the ever-increasing global demand for oil, and the export potential of oil extracted in the region. Government officials and policy makers have also promoted the project in terms of the development needs of traditional marginalised communities of herders, fishers, pastoralists and local sea and farming communities. Local action group Save Lamu says the project will destroy the delicate marine life and coral reefs on which the livelihoods of many residents depend. The mangrove trees in Lamu make up more than half of Kenya’s mangroves. 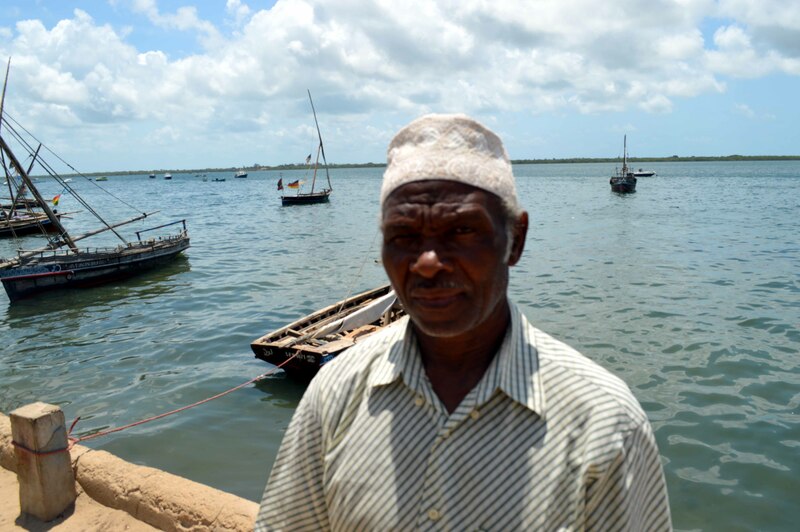 Walid Ahmed, a marine expert and official of the Save Lamu group, said more than 70% of the local population, estimated at about 110 000 people, survives on fishing and will not be able to cope with losing their livelihood. “The Manda Bay, where the three berths are being constructed, is a fertile breeding ground for crabs, prawns and lobsters. It guarantees a catch for all fish hunters, but destruction of the coral reef is imminent, the fish will all disappear, and our people will be faced with a gloomy future,” he said. Salma Omar of Save Lamu said the port site and planned sailing routes will cause massive destruction to both terrestrial and marine life. “Lamu is endowed with rich biodiversity, rich marine ecology, and coral reefs that are not only a major attraction to tourists but provide breeding grounds for fish,” she said. 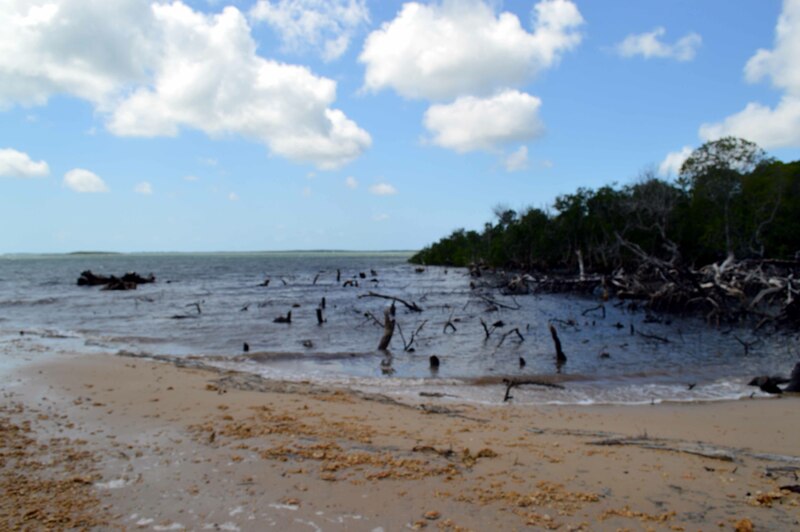 The Kenyan government’s own EIA acknowledges that 30% of the country’s existing rare mangrove trees will be lost as a consequence of building the port. It also notes that the port refinery facility, the new city, airport, rail line and mineral exploration will negatively impact the fragile ecosystem around the development. However, the EIA seems to have little weight in the overall decision to go ahead with the development. Lamu county commissioner Stephen Ikua acknowledged that the project will have an impact on the environment and fishing sector, but said measures have been put in place to address these issues, including the preparation of a compensation package for which funds have already been allocated. He accused some hoteliers of inciting local people to oppose the project. The first phase of Lapsset has received little international attention, as it has so far been confined to seizing large tracts of land owned and occupied, at least until recently, by minority communities. Save Lamu’s Salma Fazul said the indigenous Bajuni, Sanye, Arabs and other communities inhabiting the isolated and remote county have faced the hardest losses, and experienced the worst violations of their rights. Over a two-year period land has been seized from local communities and contracts have been awarded for its “development”, despite residents voicing their opposition since the mega-project was made public. Civil rights groups and legal and environmental experts have joined in a campaign to suspend the project and seek a review in order to resolve the contentious issues. Maimuna Saidi, among 122 families whose farm was seized in the first phase of the port project, said she had surrendered her land under duress and is still waiting for compensation and resettlement. “The chief and a group of local elders informed me the government had earmarked my five-acre land for the port project. They asked me to sign several pages of papers to surrender the farm, then migrate and wait for the money. “I am illiterate and can’t read, I used my thumb to sign and complete the transaction. We were also threatened not to oppose the order, and that is why I accepted and trusted a verbal promise,” said the single mother of four children. Obo said the relocation of farmers from the Kilalana area, which has been cleared for the construction of the three berths, has been shrouded in secrecy. Affected families have been deprived of the capacity to produce food, and as a consequence are now living in abject poverty, he said. A retired primary school teacher whose farm was seized to create space for a road to the port site at Kilalana has also not been compensated for the loss of his land and livelihood. The teacher previously made a living selling farm produce to tourist hotels and local residents. Ali Mzee, a human rights activist, said public anger was first roused when the government contracted a foreign firm to conduct a feasibility study for the project, then declined to make public the cost of the contract, choosing instead to declare the deal, and findings, confidential. The feasibility study, conducted two years ago, projected that the area will be hit by a population boom that will see its population increase tenfold to 1.2-million from the current 110 000. There is evidence that this has begun already, with local residents expressing discomfort at the influx of rich Kenyans in the past two years, despite assurances by the government that it had formed a committee to address their concerns in terms of land speculation and land compensation. 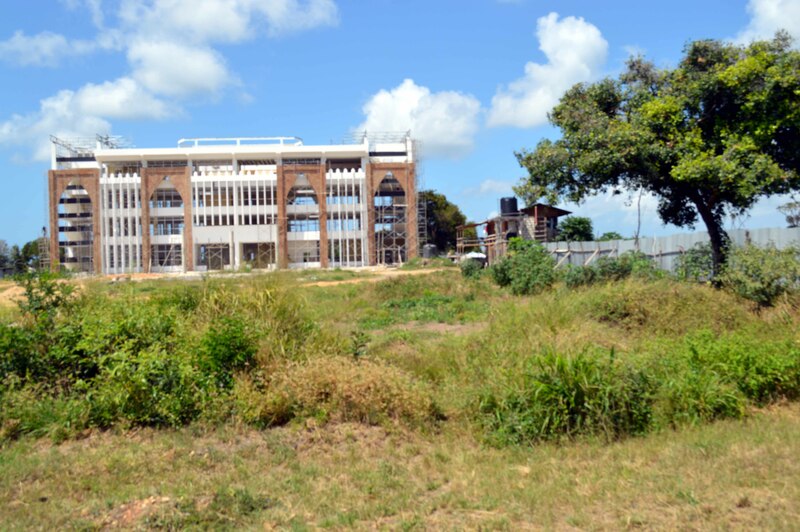 Members of Save Lamu said the government was allocating land to foreigners, and government officials and politicians party to the development plan have been able to obtain land around the port, resort city and refinery plant sites with a view to speculative gain. In contrast, said Omar, no measures were in place to preserve the indigenous cultures of the Bajun, Orma, Sanye and Aweer communities in the face of the projected population explosion. A fact-finding mission lead by lawyer Kanyinke Sena, on behalf of the international Working Group on Indigenous People, found that the Lapsset project will have a negative impact on more than 100-million vulnerable, extremely poor and historically marginalised indigenous people in the three neighbouring countries. According to Sena, the potential negative impacts include loss of land, resources, increased conflicts, alteration of traditional livelihoods and a collapse of culture and tradition – losses that particularly affect pastoralists, hunters, fishers and gatherers. 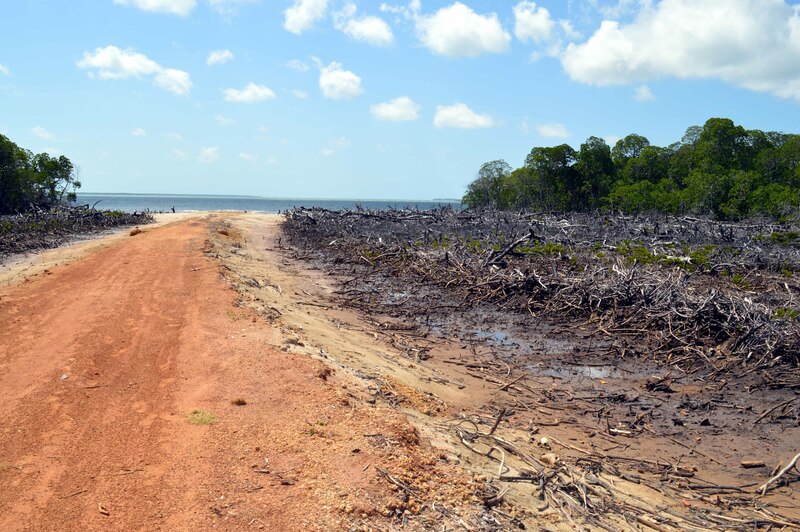 The mission also established that damage to the marine ecology and mangrove forests had already created resource shortages which could only worsen, and which are of the type likely to trigger conflicts. Babu Khalid, an elder from the Boni hunters and gatherers community, said strangers were already preventing them from accessing the wilderness to harvest wild fruits and honey. Professor Abdirizak Arale from the Moi University Environment Department confirmed that up to 10 000 hunters are faced with displacement and that no plans have been initiated to resettle them or to grant them an alternative source of livelihood, according to a recent study conducted by the department. “This project must not be guided by the need to increase GDP, trade and revenue. The fate of those to be affected must be addressed and new laws must be enacted – laws to protect different cultures and the weak communities who have suffered neglect, rather than suppress them further,” Arale said. Professor Paul Goldsmith of Pwani University in Mombasa said the port and associated infrastructure will assist China in its quest to dominate investment in, and exploitation of, Africa’s mineral assets. He described the project as a gravy train being pushed to benefit politicians, wealthy individuals, land grabbers and a cartel of foreign investors. “Lapsset is clearly meant to grant contracts to private firms, create structures to ferry oil from South Sudan and nothing else. It’s not about developing the remote north Kenya, it’s not about a change of policy,” he said. The high cost of the project, estimated at US$29.2-billion in April 2013, is a major financial burden for the country and a major investment risk, Goldsmith said. Concerns over delays and reports that South Sudan is looking for an alternative port to export oil will mean that Kenya is putting up a port that may be idle and incapable of recovering costs.